Eckerd is a liberal arts college in St. Petersburg, Florida. With nearly 2000 full-time students on a 188 acre campus right on the Gulf coast, the campus has a lot of pathways needing light. One major challenge for any lighting solution at Eckerd is the variety of soil conditions, including some areas that are vulnerable to storm surge flooding during tropical storms and hurricanes. 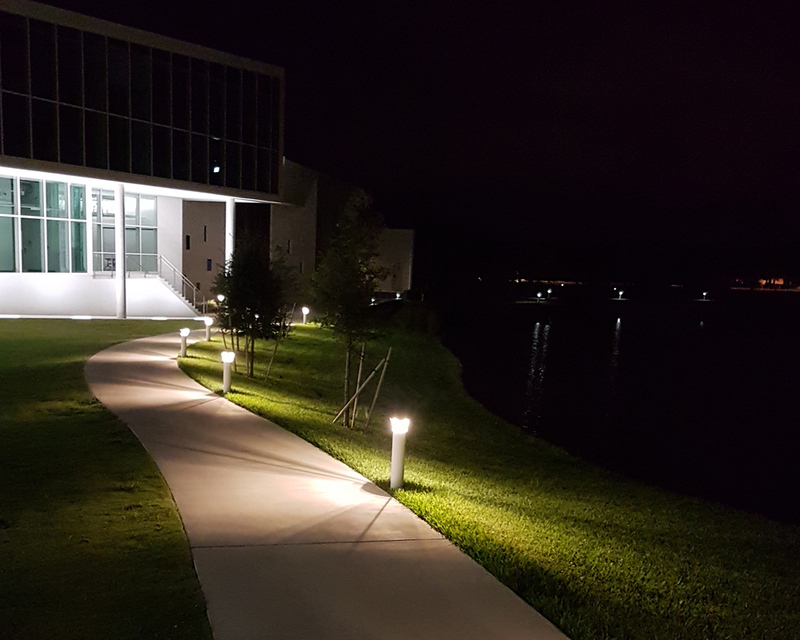 In addition to being durable and reliable, Eckerd also needed lights that could be more easily relocated with a growing and changing campus and fits with their goal of being more sustainable. Fortunately, First Light’s PLB solar bollards and PLB-AC wired bollards were able to deliver the performance and flexibility Eckerd was looking for. With 88% of students living on campus, having adequate lighting levels is essential. 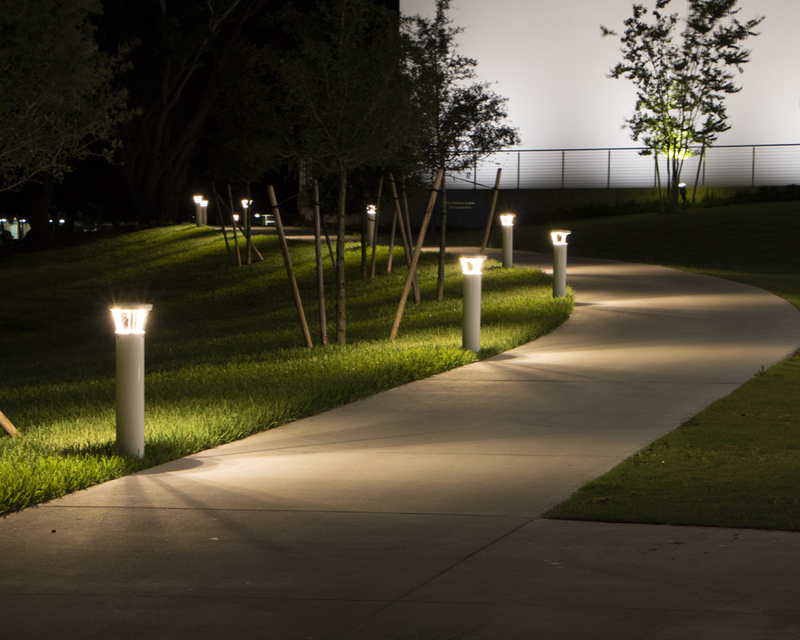 First Light’s PLB-AC bollards are able to provide up to 950 lumens of light along some of the more heavily used pathways on campus. 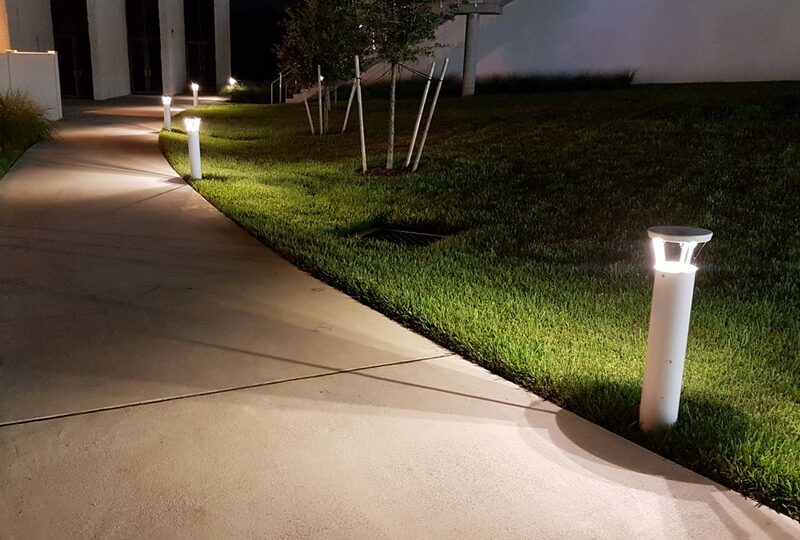 While the wired bollard provides a great deal of light, it is also the highest efficiency bollard available in a visually appealing design. The PLB solar bollard has the same external appearance as the PLB-AC and has allowed the campus to provide light in areas that were not possible with the wired PLB-AC series because of the threat of flooding. The PLB bollard also avoids the cost and disruption of trenching for wires and are relatively easy to relocate if needed. With positive feedback on the performance the bollards, the college has already placed repeat orders for bollards. First Light designs and manufactures high performance solar powered bollards and luminaires for commercial, pedestrian scale lighting projects. © 2019 First Light Technologies Ltd.